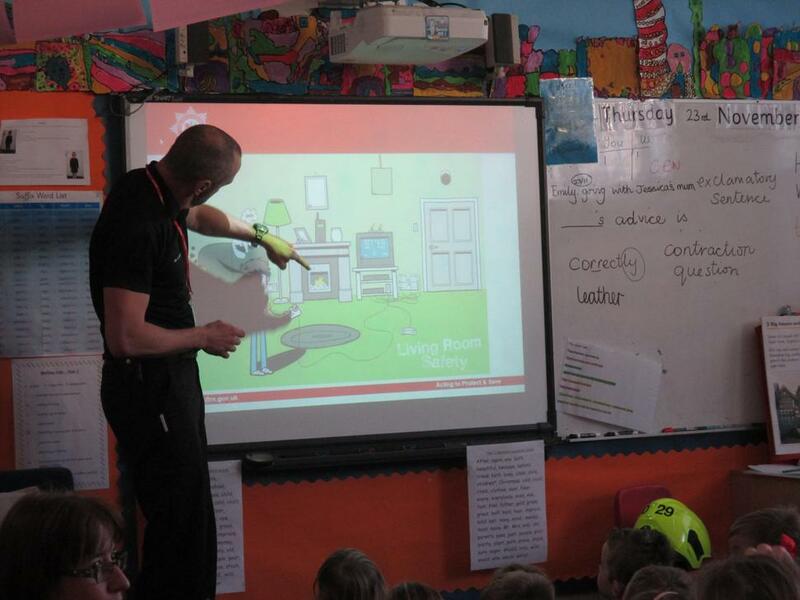 We looked at pictures to spot hazards that could be around the house. 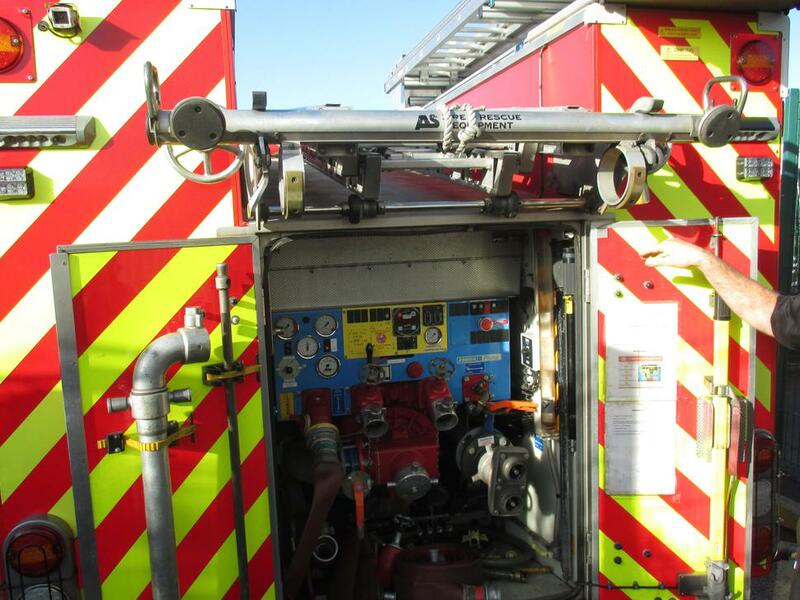 We found overloaded plugs, candles and water near electrical goods, an unguarded fire place and an open flame near a tea towel. 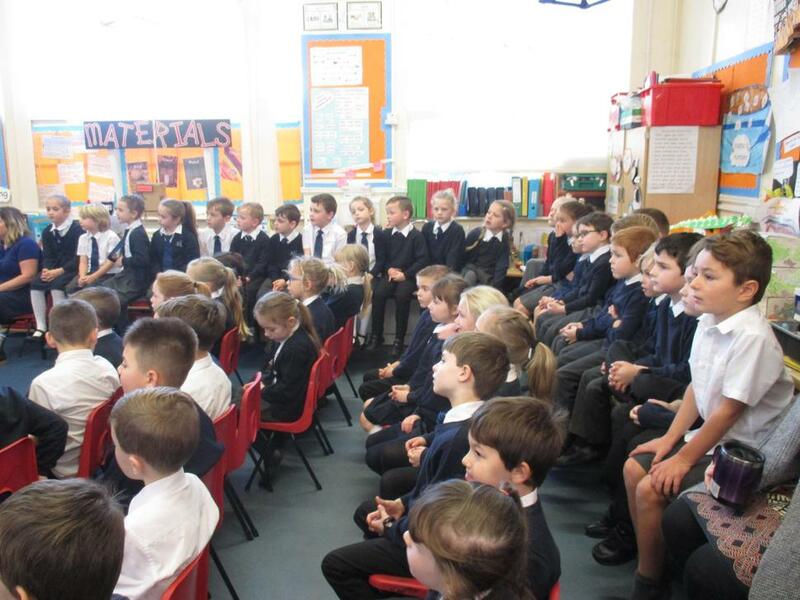 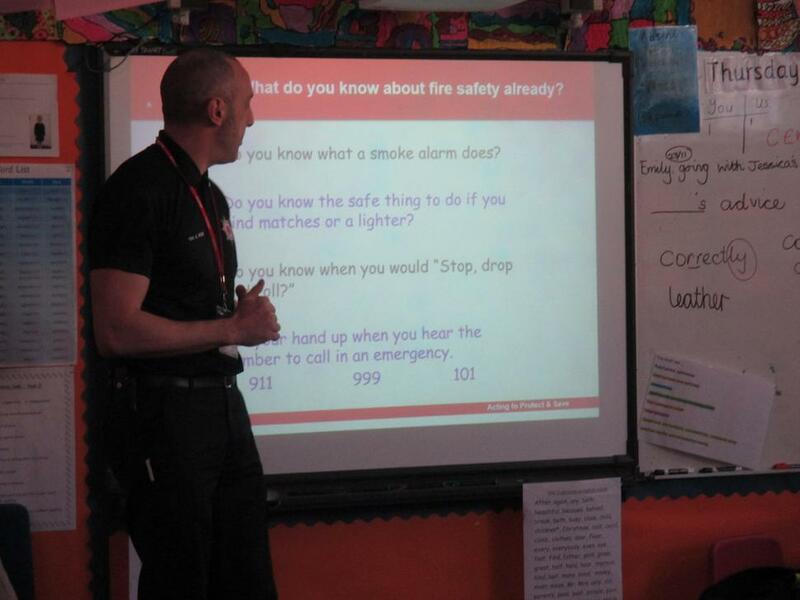 We were also tested on what we knew before and after our talk, so we should be able to tell you all about these things and staying safe! 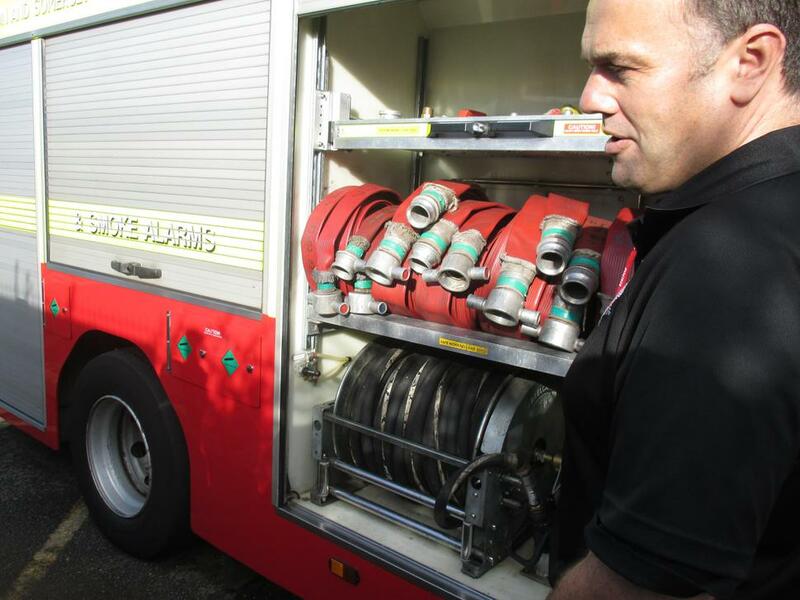 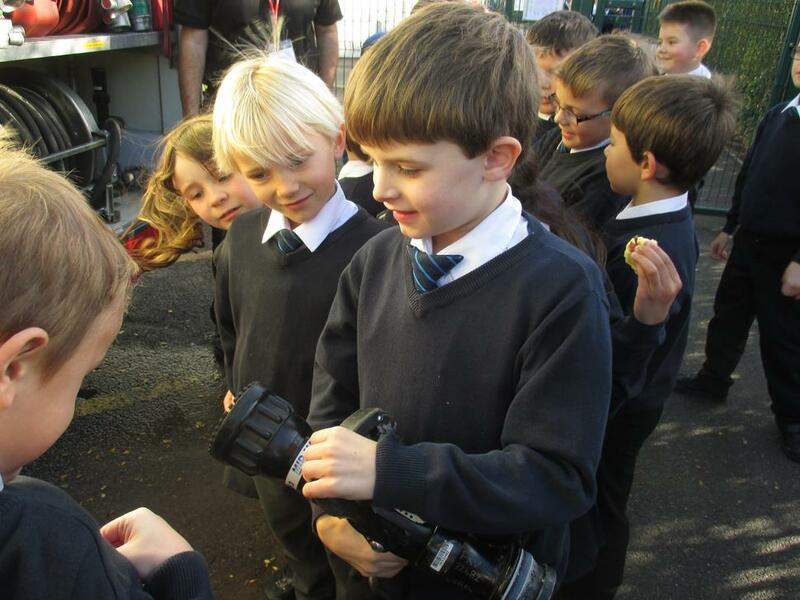 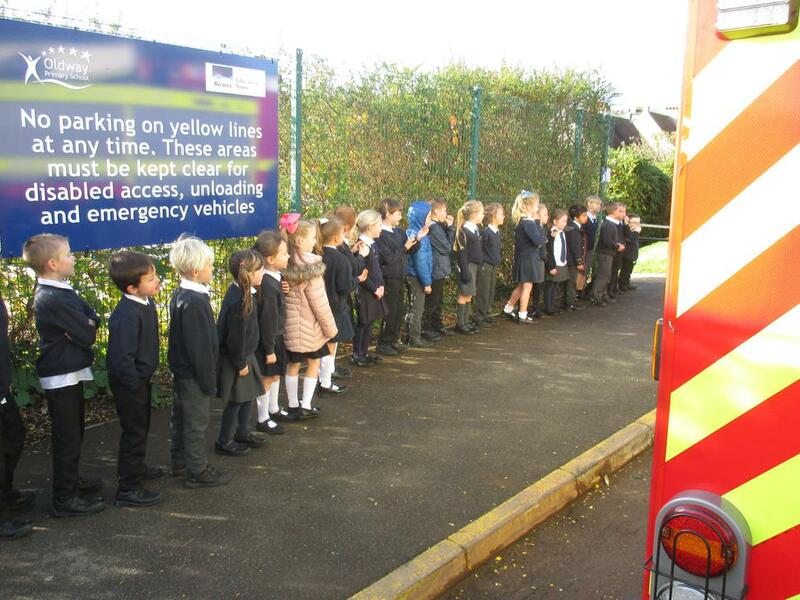 The fire fighters told us about calling 999, too. 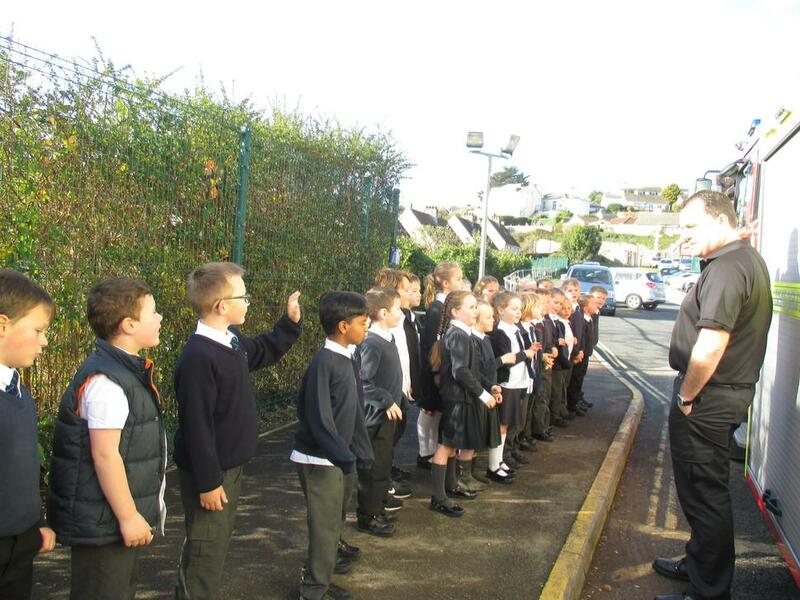 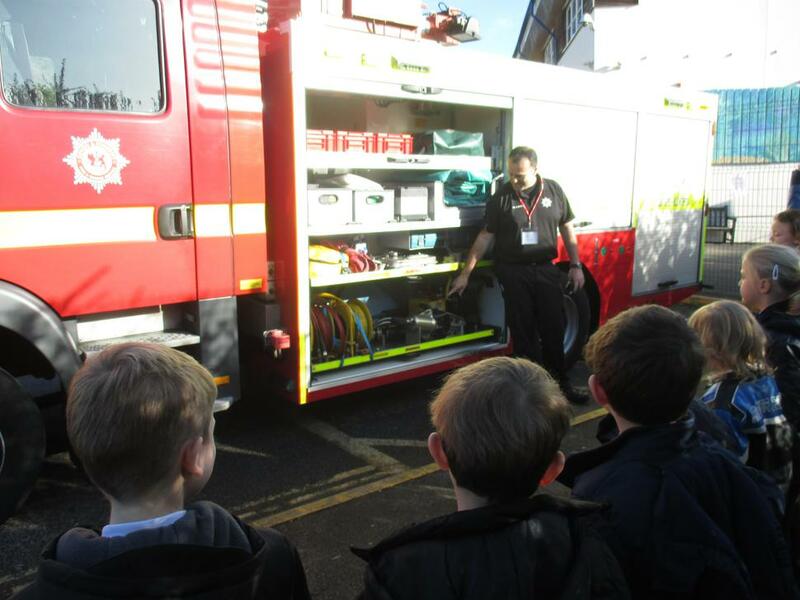 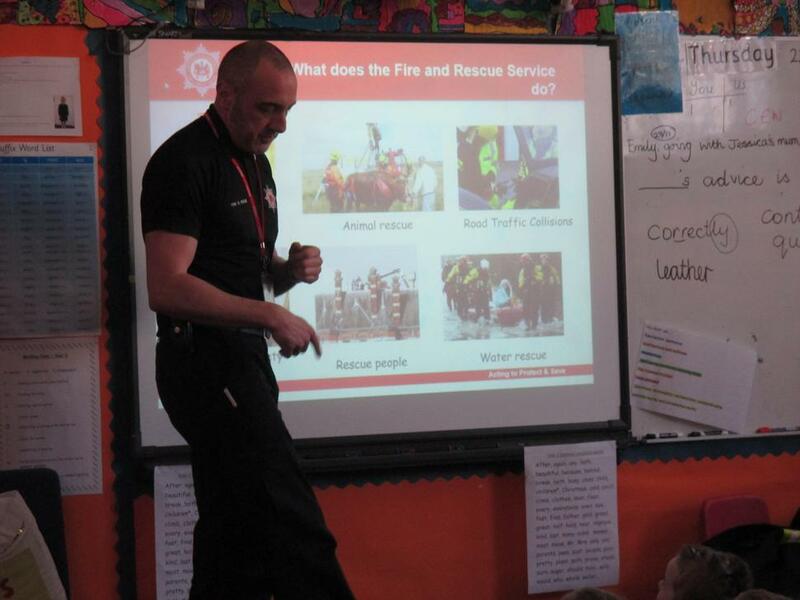 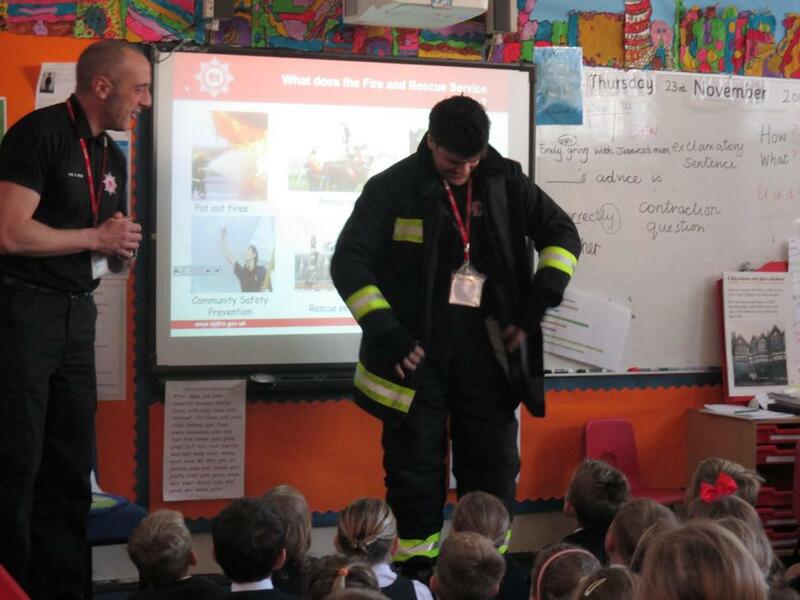 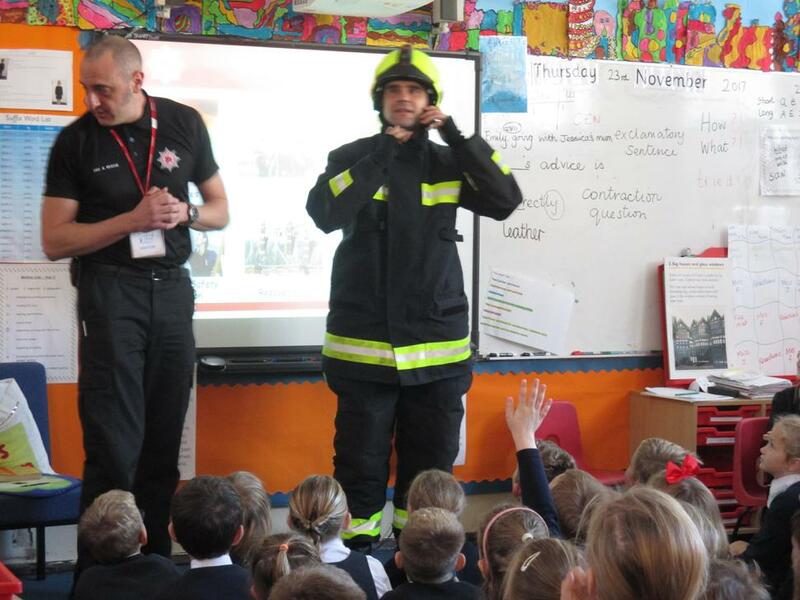 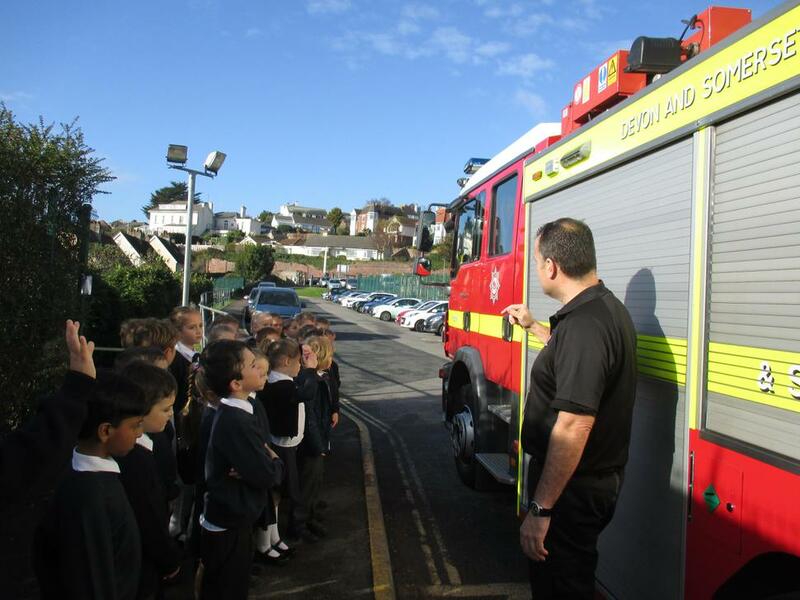 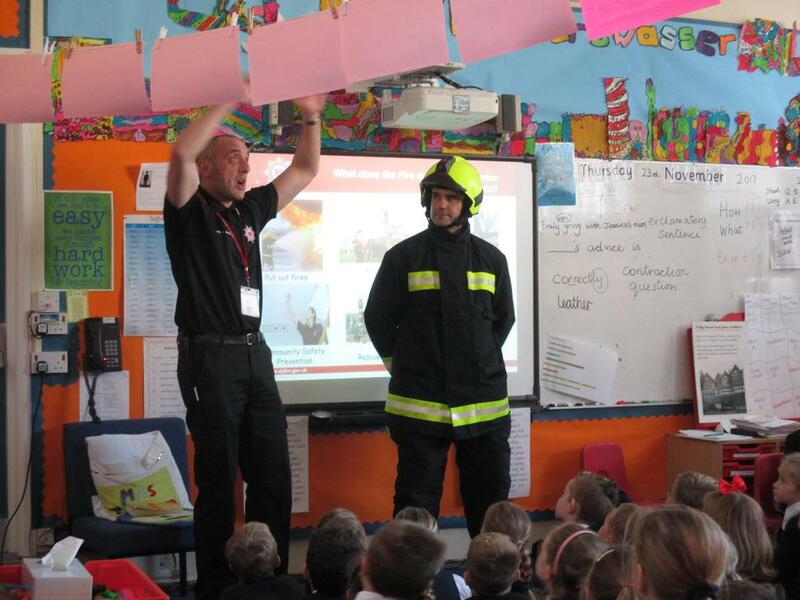 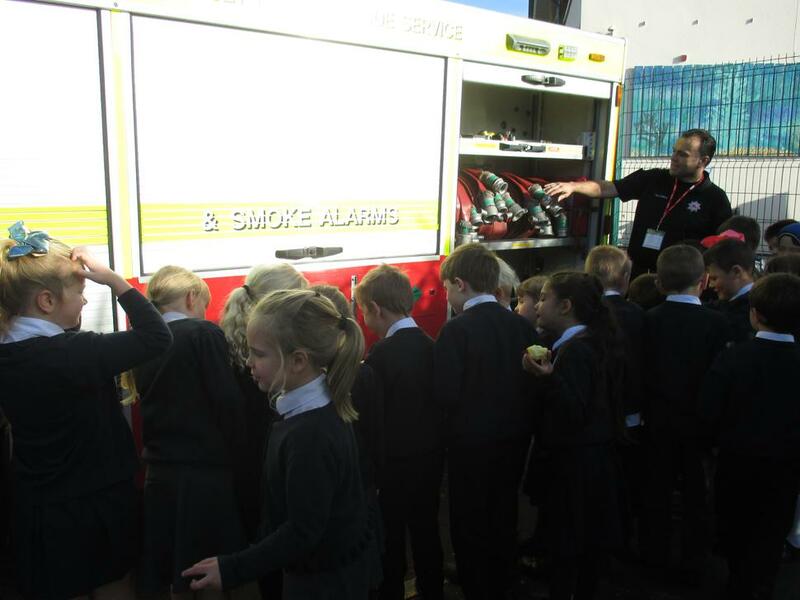 We learnt that when you call 999 you have to ask for the emergency service you need (fire, ambulance, coast guard or police) and then tell the fire fighters where the fire is. 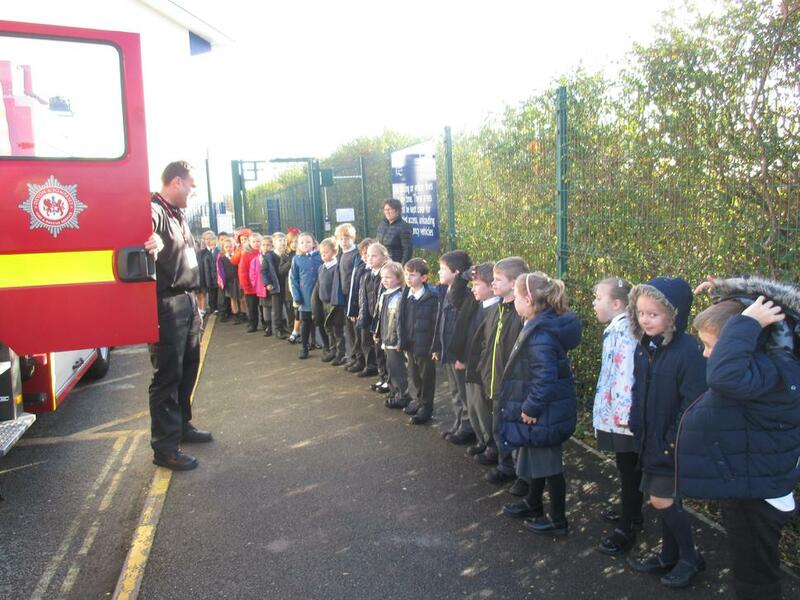 Firefighter Mick said the best way to tell them where the fire is is with a postcode, so told us that it would be amazing if we could learn the post codes for our houses in case we have to make a call to 999! 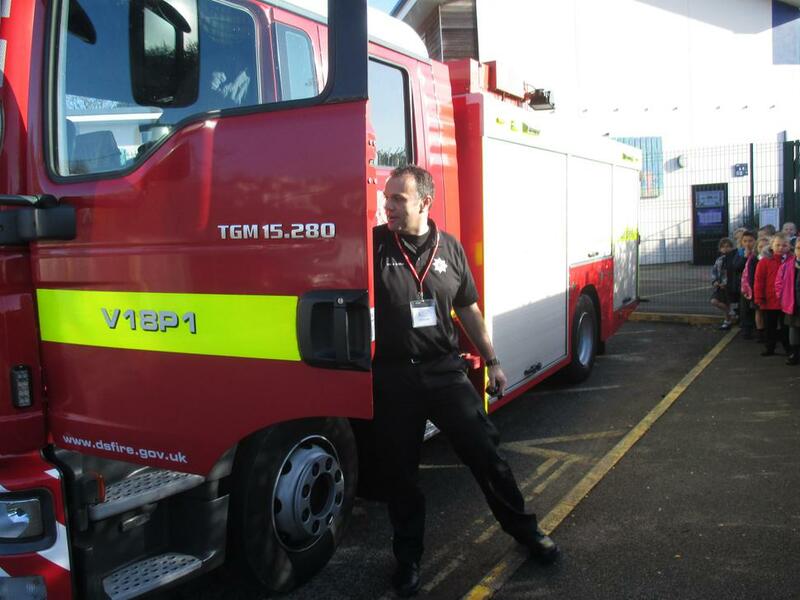 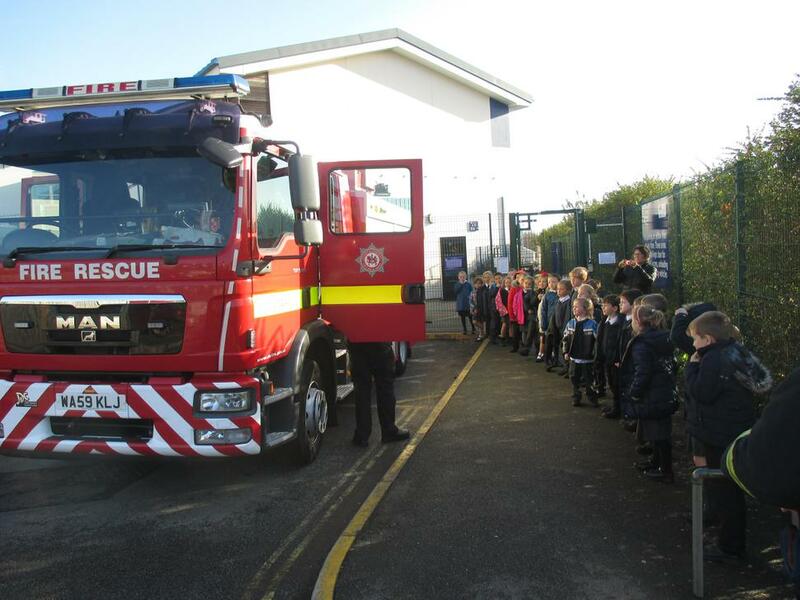 Finally, we got to see a working fire engine! 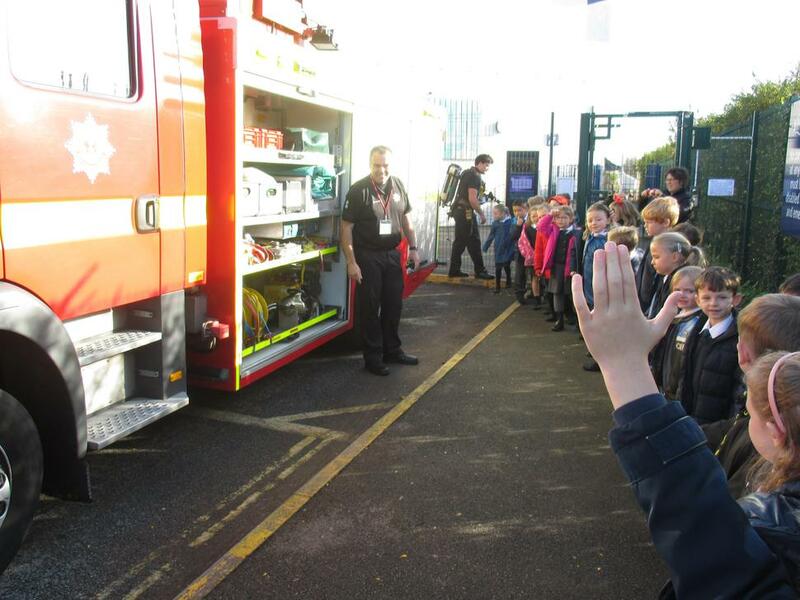 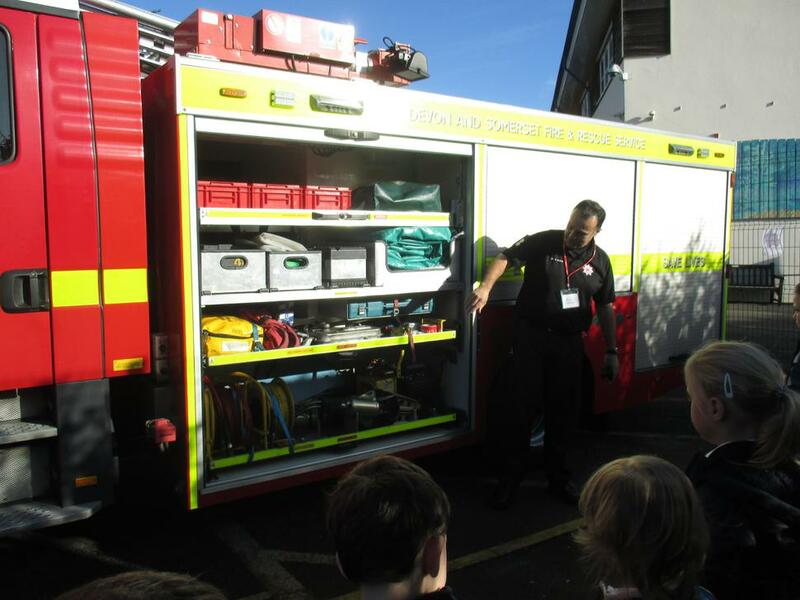 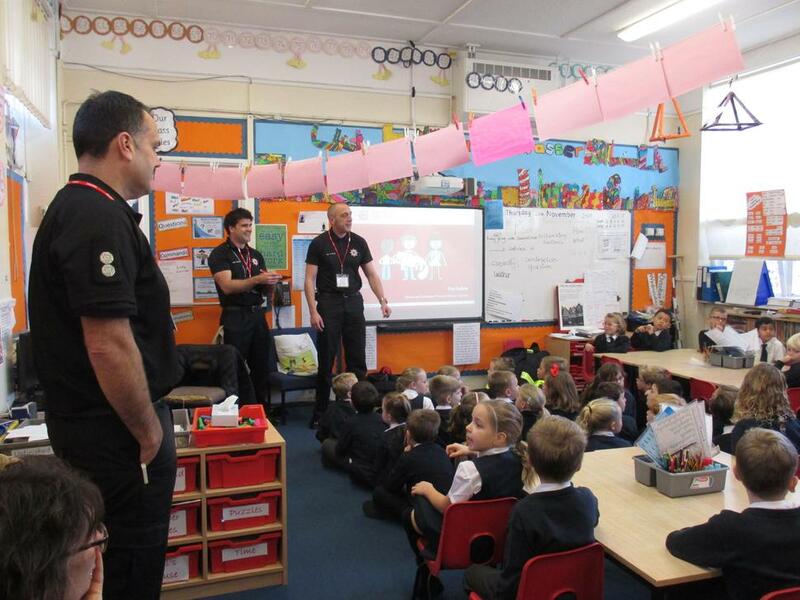 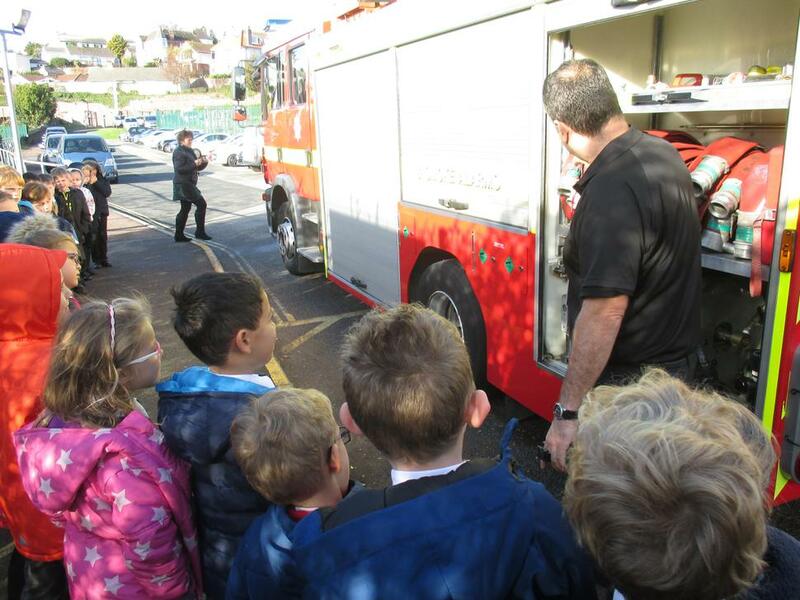 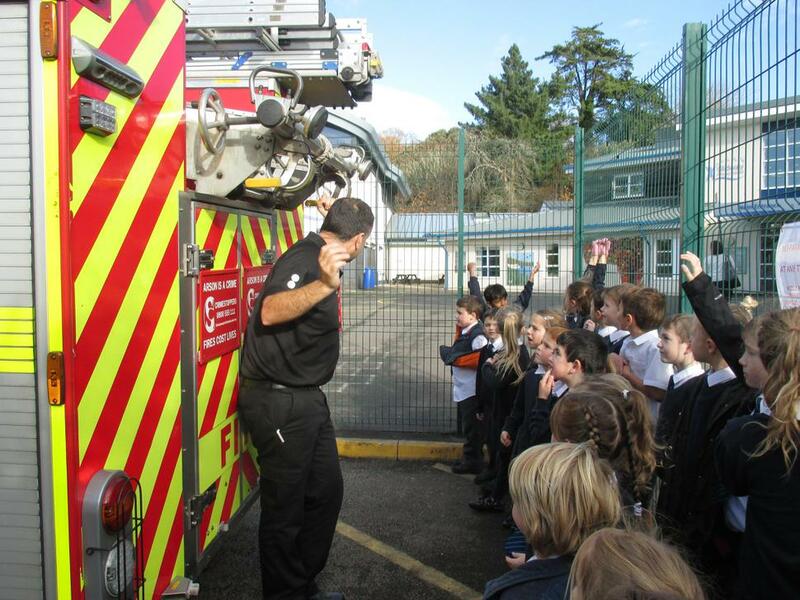 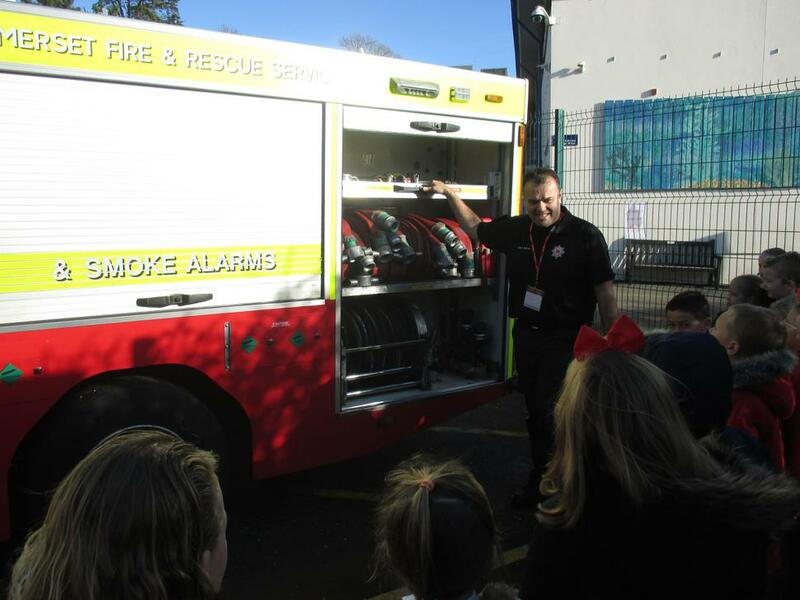 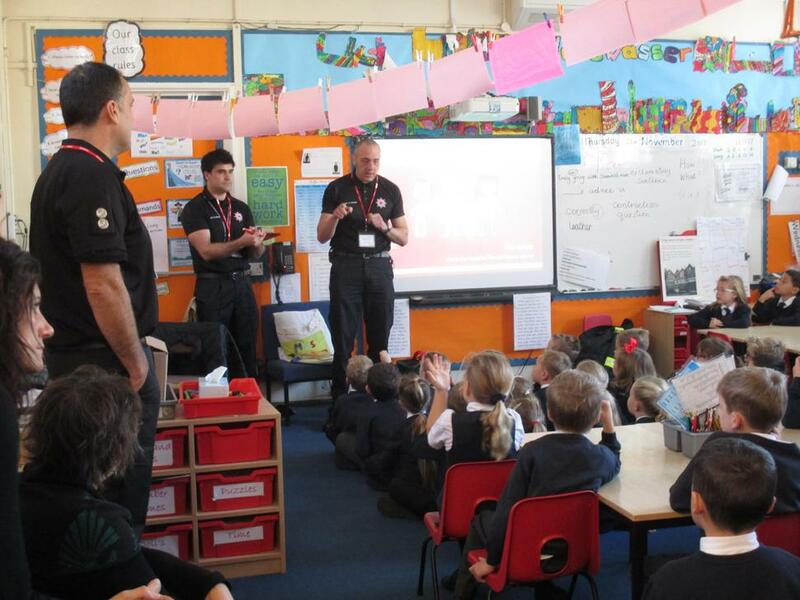 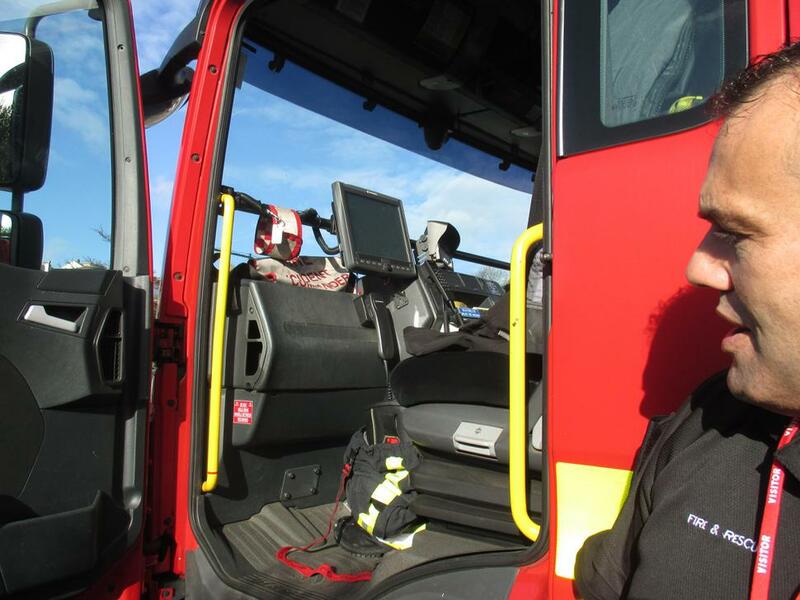 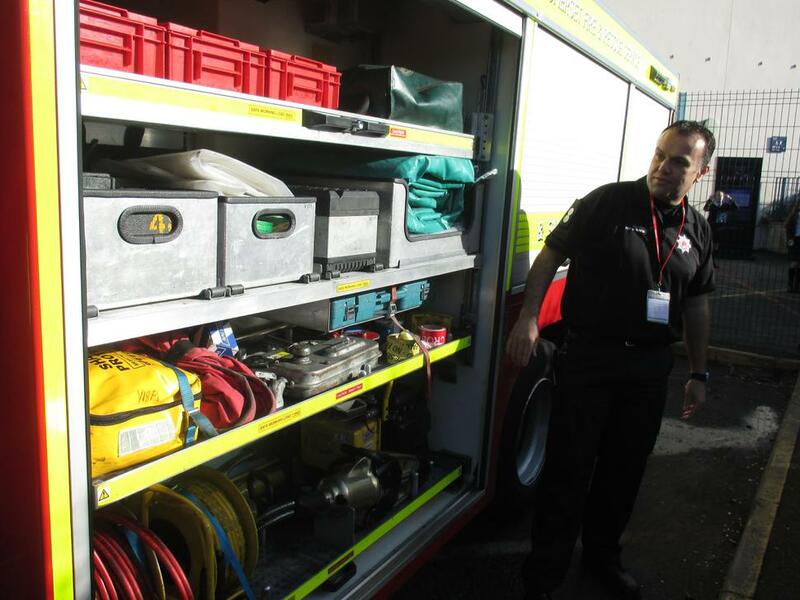 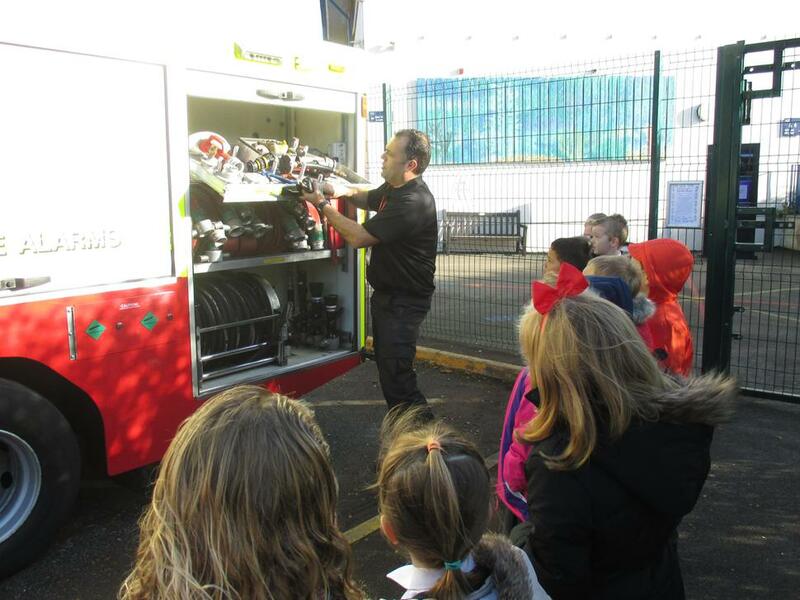 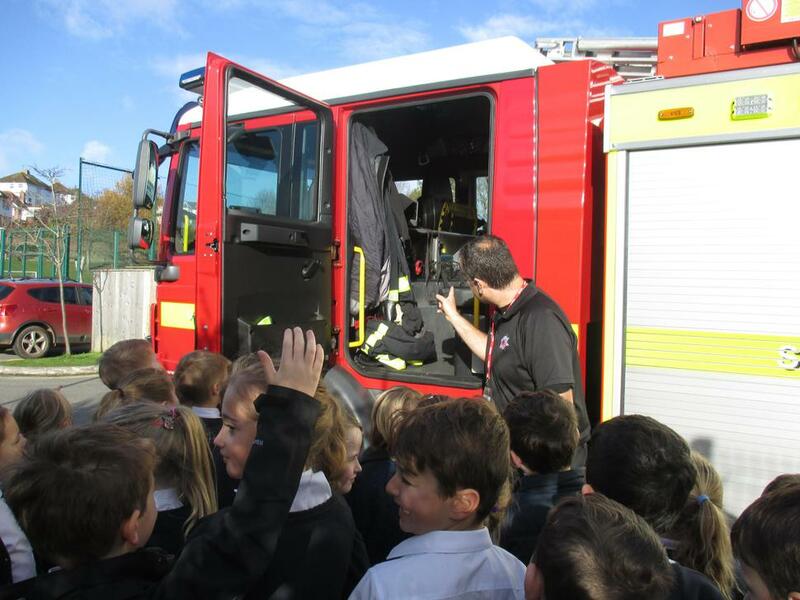 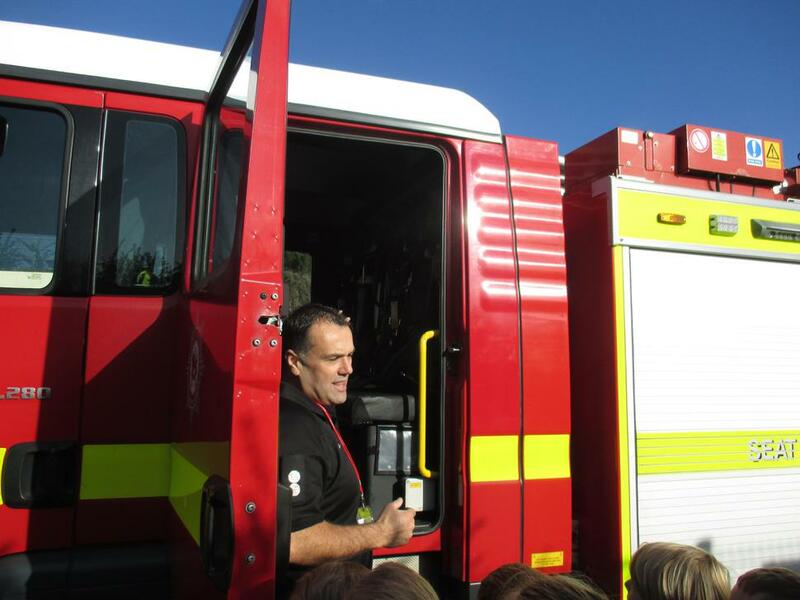 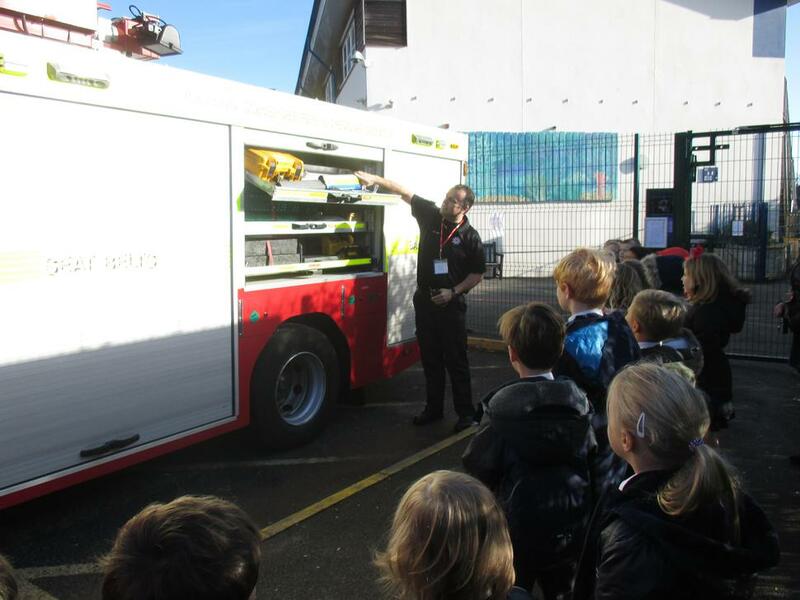 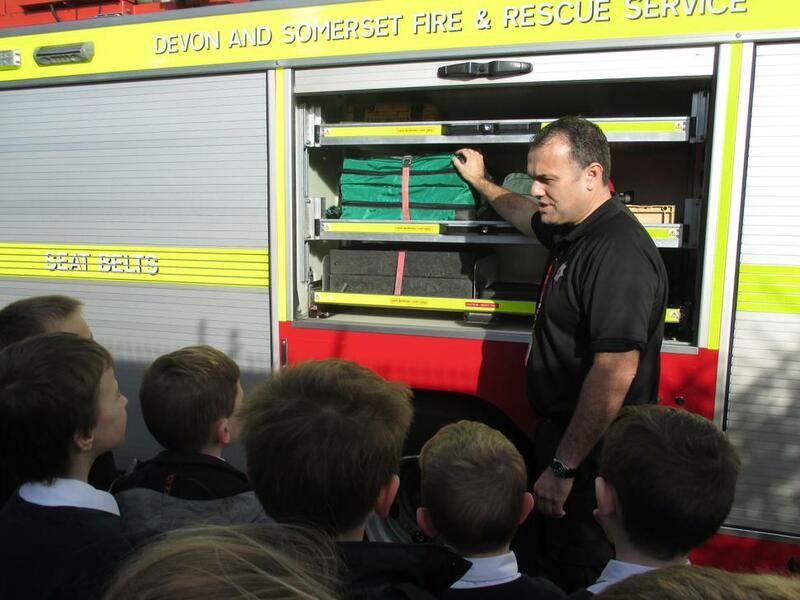 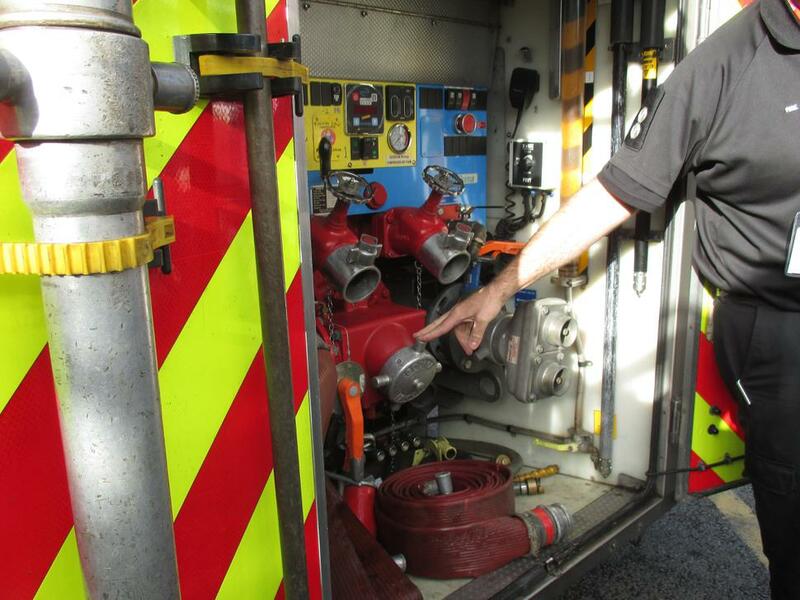 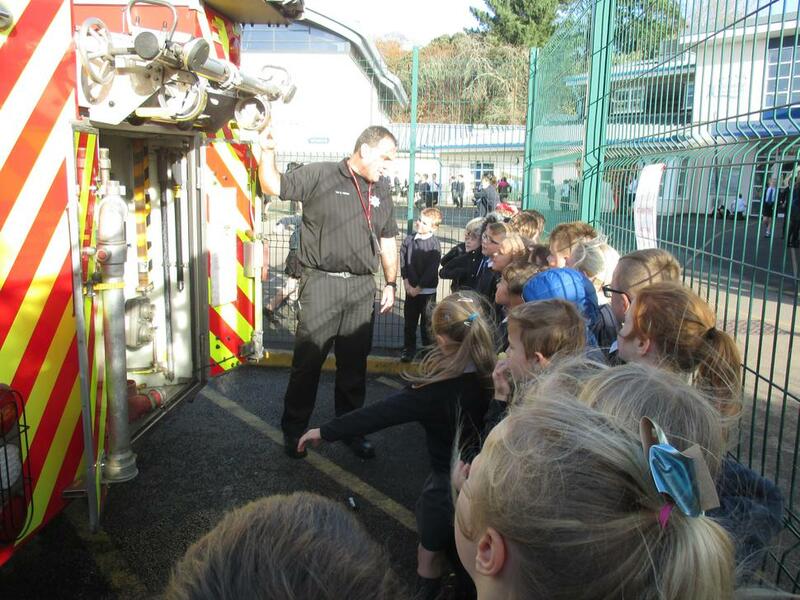 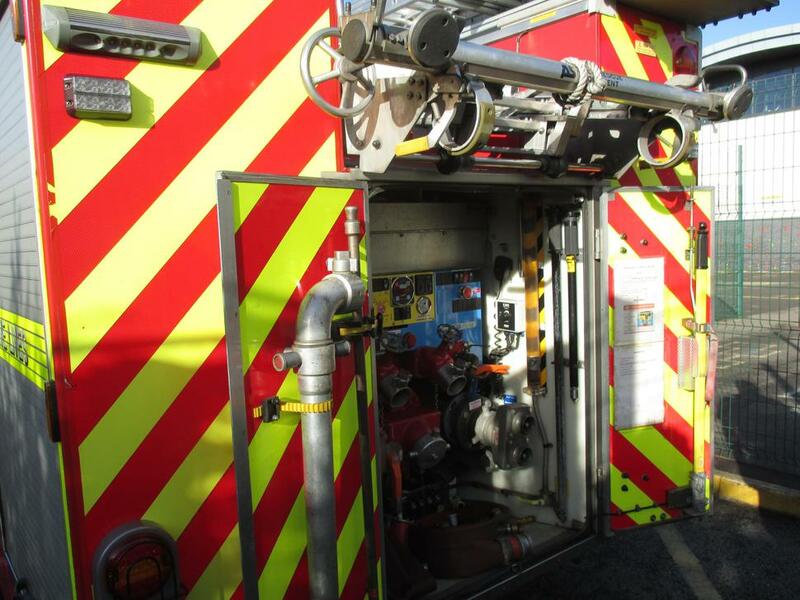 The fire fighters showed us all the different parts of the engine and what they need to handle a call out and we were very impressed with the ladders and the water tanks! 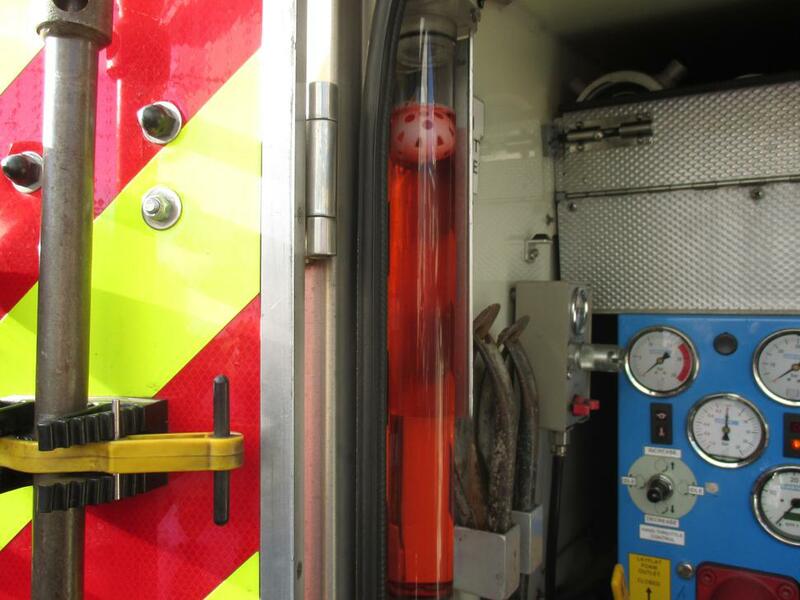 They have so much stuff inside the engine, like oxygen masks for humans and animals. 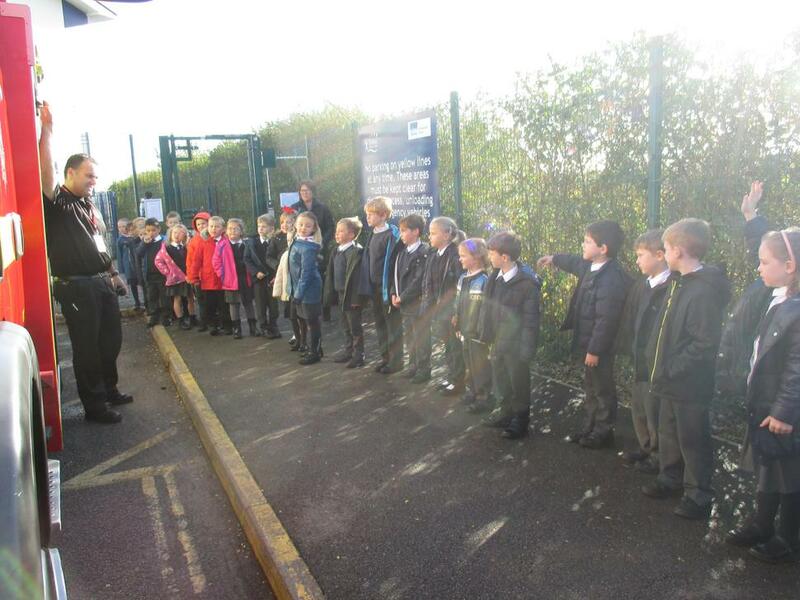 How impressive it was! 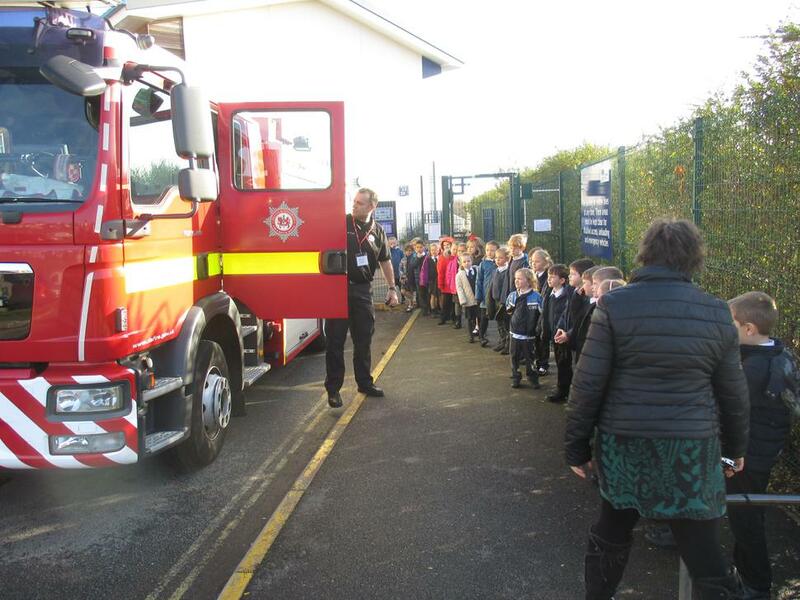 We were so lucky to get a visit from the fire fighters!